is doing what makes me happy. Walang echos,” she said. Tik Tok in achieving their goals. “Don’t be afraid to express yourself. Don’t let the fear of being judged or disliked hold you back from doing your thing. I am very sure you’ll discover new things about yourself as you go along. And who knows,tulad ng nang yari sa akin,baka mang yari din sa inyo,” she said. 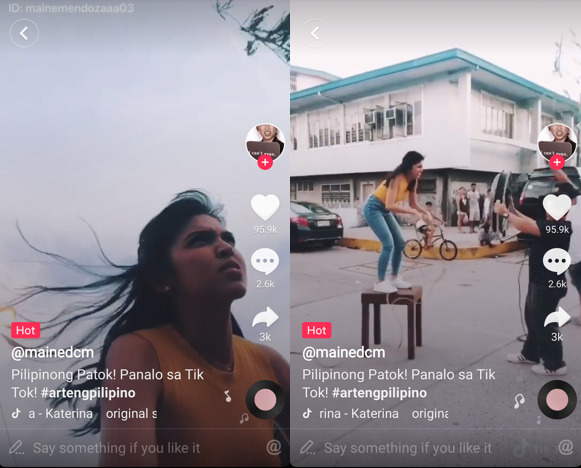 With Talent ng Pilipino, Maine’s story has come full circle. Except this time, nobody is asking who is that girl.